Swakopmund Museum was founded by Dr. Alfons Weber in 1951. Ever since its inception its objectives have been to encourage informal education, to stimulate interest in the sciences and to preserve historically valuable items for future generations. The museum is located in rebuilt building of the Imperial Customs House (Kaiserliches Hauptzollampt) erected in the beginning of the century. 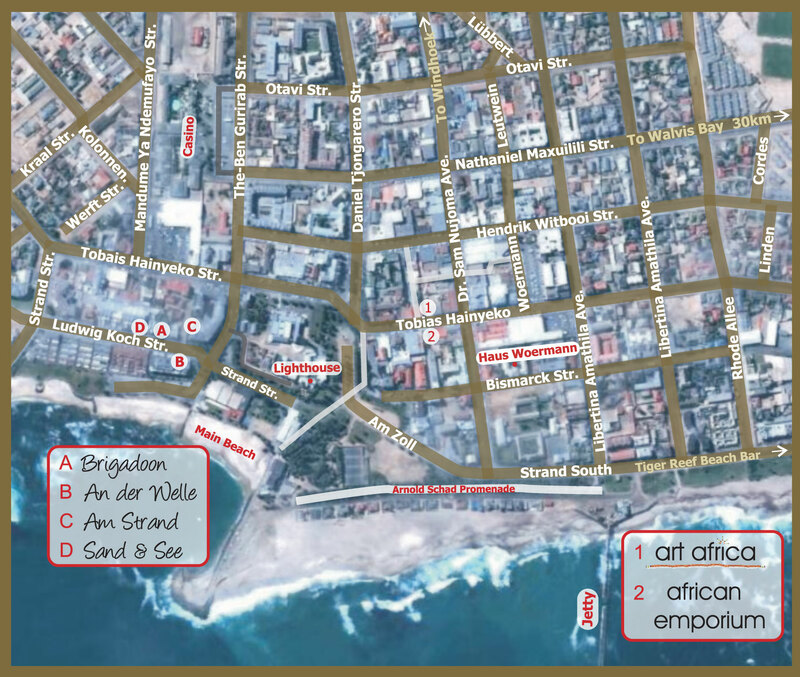 In 1950 the Swakopmund Municipality initiated a competition to add an attraction to the coastal town and Dr. Weber won it with an idea to establish a museum. 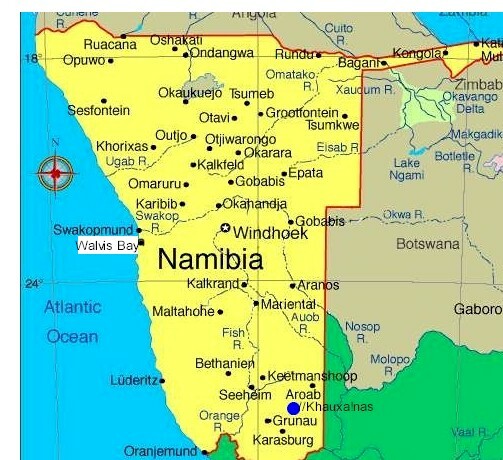 The contrasting life in the Namib Desert and the Atlantic Ocean are clearly depicted by means of various dioramas (three-dimensional models and scenes) displaying the seals at Cape Cross, bird life in the coastal region of the country and a desert scenes. The Emil Jensen Herbarium exhibits the specimens of the Namib flora, while a large variety of zoological specimens are also on display. During 1990 the museum was able to acquire the famous Bachran collection which comprises a comprehensive archaeological and entomological (insect) collection, as well as the largest collection of birds' eggs in Namibia. Ample space has been allocated to the excellent mineral display which contains some superb specimens especially from mine in Tsumeb. There is a very interesting collection of relics of wooden ships that came ashore on the Skeleton Coast. An original ox- wagon, which operated between Grootfontein and Angola some hundred years ago, is exhibited, emphasizing the importance of transport to pioneers. Also to be viewed here are the carriage of the last German governor of the colonial era, a beautiful model of a dual locomotive, marine equipment, and the old beaming system of the Swakopmund lighthouse. 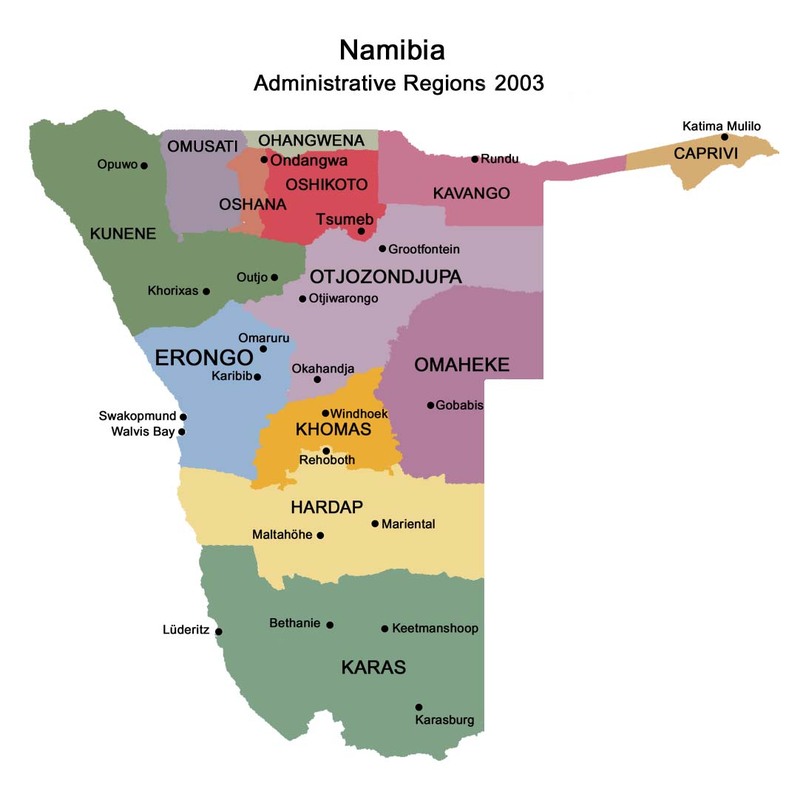 The fascinating culture of Namibian indigenous people is shown by a collection of original musical instruments, wood carvings, weapons and domestic utensils. Next, one finds Mr. Gerd Bohlke`s Adler Pharmacy, Dr. Alfons Weber`s former dental practice, and the Schmerenbeck room in the original ''Jugendstil''. Special exhibitions are often on display and are a further attraction for local and foreign visitors. The museum is located on the beach front next to lighthouse and Strand hotel. The Museum organizes regular sightseeing bus tours to Rossing Uranium Mine. Lectures are regularly held at the lecture hall in the Museum. Museum opening times: daily, including Sundays: 10:00 to 17:00. This reference library is located next to the former Otavi Bahnhof, or railway station, which was the west coast terminal of the narrow-gauge railway line to the copper mine at Tsumeb. The Sam Cohen Library, which initially started with 5 books, today has over 10 000 volumes, which include the famous 2000 titles of Africana Collection of the late Ferdinand Stich. This library is a treasure chest for scholars, students and scientists alike. The archives, which belong to the Scientific Society Swakopmund, are also housed in the Sam Cohen Library. They allow visitors access to a unique collection of newspapers from 1898 to the present day. Also available is an extensive collection of historical photographs, maps and documents. Library opening times: Monday - Friday: 9:00 to 13:00, 15:00 to 17:00. Second Saturday of the month: 09:00 to 13:00. The former goods shed of the Otavi Bahn - has been named ''OMEG-Haus'' after the "Otavi Minen-und Eisenbahn Gesellschaft". This building and the Otavi Bahnhof have been recently renovated. Next to the OMEG-Haus and behind the Otavi Bahnhof is also an open air museum and a small botanical garden where some indigenous plants can be found. The Scientific Society is a privately run, non-profit organization and is the governing body of the Swakopmund Museum and the Sam Cohen Library. The society was founded in 1968. The Sam Cohen Library, Otavi Bahnhof and OMEG-Haus are situated on the corner of Sam Nujoma and Windhoeker Street, the entrance to the library is in Windhoeker Street.